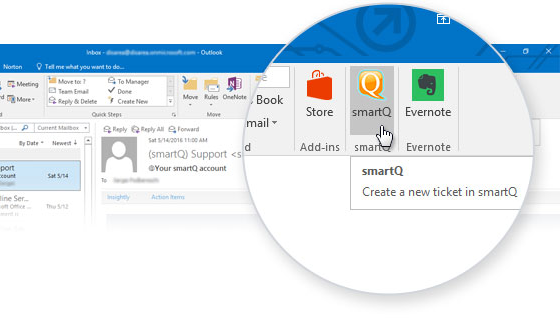 We just released the smartQ Outlook Add-in that allows you to create tickets directly from Outlook emails. You can download the add-in from the Office Store. You can read more about smartQ and Microsoft integrations on our site.